A modern and superior skincare range for all ages. 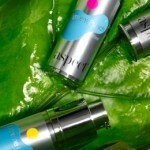 Aspect is an Australian made and owned condition specific cosmeceutical range. Aspect contains chirally corrected active ingredients in the highest concentrations and is sourced from the world’s most advanced pharmaceutical and bio-technology companies and uses where possible certified organic ingredients free of pesticides, parabens, perfumes and dyes. In-clinic performance evaluation of each formula has been carried out to ensure efficacy. Aspect contains a complete home care and chemical peel component. The Aspect range has been developed for men and women who want an effective skin care regime. Formulated with the highest concentrations of pure naturally-derived botanicals and high octane cosmeceutical correctives. Formulated with certified organic non-genetically modified ingredients wherever possible. Chirally correct and optically pure activesfor maximum clinical results without unnecessary irritation or trauma. 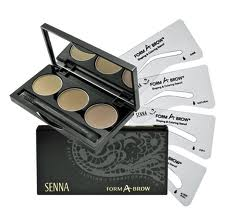 Free of mineral oils and other petrochemicals. Free of parabens and other harsh preservative systems. Free of animal derived ingredients. Aspect is a protected brand not avaliable in department stores or online. This entry was posted in News on March 18, 2012 by admin. Special Offer – Free LED Treatment with every 1 hour Facial – First visit. This offer is Valid until 31 December 2012. Make your skin look, behave and feel younger with Max7 – a non-invasive light therapy device for facial skin rejuvenation. This entry was posted in News on March 3, 2012 by admin. Our specialised body treatments are designed to produce that extra special result you are looking for. Body Exfoliation and Moisturise – Smooth and silken the entire body – including facial exfoliation. Full Body Exfoliation and Tan Application – Achieve a natural tan within 2-3 hours of application. SunFX Spray On Tanning System – No preservatives or alcohol. Odourless and all natural. This entry was posted in News on March 2, 2012 by admin. This YouTube video demonstrates how the Acajou-Beauty-Therapy-Clinic-Ponsonby.co.nz website displays on your iPhone or Android Smart Phone. Acajou Mobile Phone Friendly Website on YouTube – Designed by Total Support. This entry was posted in News on February 25, 2012 by admin. Eyebrows are one of the most important facial features and, apart from plastic surgery, the most changeable. Perfect Brows at Acajou. 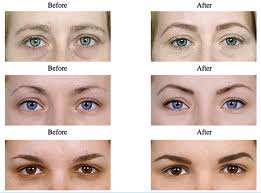 Eyebrows are one of the most important facial features and, apart from plastic surgery, the most changeable. Improve your appearance instantly and dramatically. Frame and balance your face. Make your eyes look bigger. Lift your face, taking off up to 10 years off your appearance. Make you feel more confident. This entry was posted in News on February 6, 2012 by admin. Shellac UV Nail Color – Now available at Acajou Beauty Therapy Clinic in Ponsonby. Say Hello to Manicure Elation. Introducing Shellac UV Nail Color. Thin and flexible like polish, Shellac not only looks natural, it provides strong natural nails that resist dullness and chipping, even during the most rigerous activities to deliver 14 days of flawless, mirror-shine wear. Say Good-Bye to Manicure Frustration. A brand new manicure with ZERO dry time is now available at Acajou Beauty Therapy Clinic in Ponsonby. It goes on like polish, wears like gel and comes off in minutes. What does this mean for you? You can say good-bye to unsightly nicks, chips and smudges. Forever. The following Product List was added to our website: LiLash, LiBrow, Guinot – Skin care, OPI – Nail care, Gewhol – Foot care, Aspect – Skin Care Range, Essie Nail care, Shellac – Nail finish. This entry was posted in News on January 5, 2012 by admin. The Acajou website is now fully mobile/smart phone interactive. Your iPhone or Android smart phone will love this site. If you are in Ponsonby or Grey Lynn looking for a facial treatment, massage, waxing, pedicure, manicure or other treatment – “google us” on your phone (or iPad). Our “Custom Google site search” will enable you to quickly find the pampering you deserve. This entry was posted in News on November 28, 2011 by admin.